In my assessment, no other early 20th century missiologist is more in vogue than Roland Allen. His books are being widely recommended and read in missional church and church planting circles, so if you care about these things, you should get acquainted. This post offers a brief profile of Allen himself, as well as summary of one of his most celebrated books. (SPG) to its North China Mission. While preparing to head a new seminary for Chinese catechists in Peking (Beijing), he was trapped with other foreigners in the Boxer Rebellion of 1900 until he was rescued by foreign troops. While on Furlough in England he married Mary B. Tarlton. In 1902 they returned to north China, where their first child was born, but Allen soon became ill and the family had to be sent home. There he took charge of a parish until 1907, when he resigned in protest against the rule of the established church that he must baptize any child presented for the sacrament whether or not the parents had any Christian commitment. Thereafter he held no official post but continued as a voluntary priest, supporting himself by writing and lecturing until his death in Kenya, nearly 40 years later. (Source: back cover of Missionary Methods and Biographical Dictionary of Christian Missions). Missionary Methods: St. Paul’s or Ours? was first published in 1912 and, with his other work, was rediscovered in the 1960s – something which, oddly, he predicted. In this book, Allen methodically asks and answers questions about the nature of St. Paul’s mission strategy between AD 47 and AD 57, which began empty of churches in the four provinces of the Empire (Galatia, Macedonia, Achaia and Asia) and ended with Paul’s assertion that his work there was complete. Allen’s historical reconstruction relies heavily on the New Testament and the work of scholars “Professor (William M.) Ramsay” and “Professor (Adolf von) Harnack.” Allen’s purpose is to critique contemporaneous missionary approaches, and call for a reappropriation of the principles which made Paul’s work so successful. In each chapter, Allen details Paul’s practice and contrasts it with his contemporary practice. Below I summarize Paul’s method in each chapter and conclude with the contrast Allen is making. In Part I, Allen outlines the antecedent conditions Paul faced, in order to rebut claims that he “enjoyed advantages in his birth, his education, his call, his mission, his relationship to his hearers, such as have been enjoyed by no other; and that he enjoyed advantages in the peculiar constitution of society at the moment of his call such as to render his work quite exceptional” (4). Allen responds to the first set of claims about Paul himself by noting that Paul was not the only one employing these methods with success, that contemporary missionaries have a great advantage over Paul in the printing press and Bible, and that Paul being exceptional does not empty his model of contemporary value (4). The second set of claims are addressed in chapters two, three and four. Chapter 2 responds to the question “How far was St. Paul’s success due to the position or character of the places in which he preached?” by finding it unlikely that Paul drafted a strategic plan in advance and noting how often his decision seemed spontaneously guided by the Spirit. While Allen highlights how each of the cities where he planted churches were provincial centers of Roman administration, Greek civilization and education, Jewish influence and global commerce (13), he pointes out that they weren’t the only cities of this kind, thus we should conclude that St. Paul “did not select where he would preach simply on the grounds like these: he was led of the Spirit...they were strategic centres because he made them such” (16). Chapter 3 asks whether Paul’s success was due to the existence of a special class of people to which he made a special appeal. Though Allen notes Paul’s pattern of preaching first in the synagogue and then in the home of a “man of good repute” (23), he concludes that “the majority of St. Paul’s converts were of the lower commercial and working classes, labourers, freed-men, and slaves; but that he himself did not deliberately aim at any class” (24). Furthermore, miracles, despite their undeniable impact, ten to “draw a gaping crowd of idle, superstitious, and inquisitive folk” (24). Chapter 4 considers whether the moral, social or religious condition of the Provinces was unlike that which contemporary missionaries face. Highlighting superstitious belief in demons (of which he seems skeptical), moral uncleanliness and the presence of slavery and the amphitheater, Allen concludes that “St. Paul’s converts were born and bred in an atmosphere certainly not better, and in some respects even worse, than that with which we have to deal today in India or China” (26). Part II concerns Paul’s presentation of the gospel with respect to miracles, finance and the substance of his preaching. Chapter 5, on miracles in Paul’s work, points out that Paul used miracles to neither “induce people to receive teaching” (42) nor to “convert people by working miracle on them” (43). Instead, miracles were used to attract crowds of hearers, to prove divine endorsement of his message, and to enact the doctrines charity and salvation. 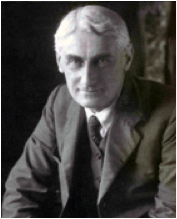 Allen concludes that what matters is not miracles, but the empowering Spirit, who furnishes contemporary missionaries with “powers sufficient to gather hearers...to demonstrate the Divine Presence of the Spirit of God with us...to assure inquirers of the superiority of Christianity...to illustrate in act the character of our religion (48). In Chapter 6, Allen asks how Paul negotiated the financial aspects his work, and concludes that what mattered to Paul in this regard was not particulars of his own support or how the church managed its funds but “how these arrangements, whatever they may be, affect the minds of the people, and so promote or hinder, the spread of the Gospel” (49). His own practice was to seek no financial help for himself, to bring none to the church and to avoid administering the church’s funds (49). Contrasting Paul’s practice with that of his contemporaries, Allen highlights how securing property can arouse local opposition, how it entangles missionaries in secular affairs, how this causes a misrepresentation regarding the missionary’s purpose in coming to a place, how this “unity” is anything but “Christian,” how these arrangements make it very difficult for a native to succeed to the place of the European missionary and, finally, how these material things become the most prolific causes of strife. Above all, Allen’s chief complaint is that “we deprive our converts of one of the very best educational experiences,” namely, learning mutual responsibility through managing the church’s financial concerns themselves (60). Chapter 7 outlines Paul’s preaching which 1) appealed favorably to the past from which this new truth arises, 2) stated the facts of Jesus’ life and death, 3) revealed and responded to the rejection of Jesus by his own people, 4) appealed to the spiritual needs of humanity and 5) issued a grave warning of God’s wrath on those who reject the gospel (63). Four characteristics of his preaching included: sympathy with the condition of his audience, courage in the open acknowledgement of unavoidable difficulties, respect for the reasoning ability of his audience and unhesitating confidence in the truth of his message (64). Also important, especially as a contrast to Allen’s day, Paul expected his hearers to be moved, he brought them to a point of decision and he refused to persist in teaching those who refused to believe because “the teaching of the Gospel is not a mere intellectual instruction: it is a moral process, and involves a moral response” (75). Part III addresses the training of converts. Chapter 8 identifies Paul’s teaching as including basic doctrines regarding the Three Persons, as well as traditions regarding Jesus’ teaching, the mystical reading of the Old Testament, and the administration and meaning of the sacraments. “Thus Paul seems to have left his newly-founded churches with a simple system of Gospel-teaching, two sacraments, a tradition of the main facts of the death and resurrection, and the Old Testament” (90). He gave no “exhortations to missionary zeal”, rather, having given them the rudiments, he believed that filled with the missionary Spirit of Christ, they would naturally begin to “bring back lost souls to the Father” and in this faith, he moved on (93). Chapter 9 explores the training of candidates for baptism and ordination, and notes that Paul seems to have left these matters largely up the church. Though he did appoint some elders and baptize a few, he left quickly and “[by] leaving the church to decide who should be admitted, he established firmly the great principle of mutual responsibility” (98). He laments how contemporaries have made too much of intellectual prerequisites when moral qualifications suffice, cataloging the difficulties that this causes (104). Part IV considers Paul’s dealings with established churches. Chapter 10 portrays Paul’s exercise of authority and discipline as remarkably restrained, in preference of persuasive approaches and hands-off faith in the Spirit at work among the local church. Allen, here, sees Paul’s as a message of spirit, not of Law. Thus in most cases he “reasons with the whole body, and set before the brethren the argument, and there leaves the matter” (115). Allen identifies the genius of this approach in that it forces the church to assume responsibility for itself, noting “infants can only be taught truly by exercising their infantile faculties” (125). Chapter 11 addresses how Paul succeeded in maintaining unity by clarifying that here “unity did not consist in outward conformity to the practices of the earliest member, but in incorporation into the body” (131). Thus Paul did not establish unity via transplanting as a rule customs from the church in Judea, he did not set up a central administrative authority over all churches, he did not establish a litmus test for orthodoxy and he refused to make all precedents universal. Instead, he taught unity by taking it for granted, serving as a bridge between Jew and Greek, initiating acts of charity between churches, and encouraging constant movement of communication between the churches (134-135). In each of these matters, Paul’s law-free approach allowed for ambiguity that served as a learning and training environment for the church. In Part V, Allen offers conclusions. Chapter 12 offers his most damning critique against contemporary missions. First, he notes that “everywhere Christianity is still an exotic” rather than native religion, “everywhere our missions are dependent” upon foreigners, and everywhere the missions look just the same. The failures which have caused this state, Allen suggests are racial and religious pride that have directed missionary distrust of ‘poor heathen,’ and a profound lack of faith which has caused fearfulness of native independence. As a remedy, Allen offers the two principles which “seem to underlie all the Apostle’s practice:...(1) that he was a preacher of Gospel, not law, and (2) that he must retire from his converts to give place for Christ” (148). Each of these rested upon a “great faith...in the Holy Ghost, not merely vaguely as a spiritual Power, but as a Person indwelling his converts” (149). Chapter 13 lays out contemporary applications of five “rules of practice” from the Pauline model. Founded on a faith in the Spirit, the key to success in the Pauline method, according to Allen, is “the trust which begets trustworthiness” (152). Thus, missionaries must always prepare for their own retirement without succession by 1) never acting alone but always referring all business regarding finance, baptism, appointment of ministers and discipline to the congregation itself and by 2) leaving things more and more in the hands of the congregation through increasing and extended missionary tours and absences. Allen does lament the sacramental starvation that, without ordained natives, will occur, but considers the maturation which absence will engender to be worth the cost. While throughout the book Allen reveals the stark contrast between the missionary methods of Paul with those of his contemporaries, what is most important to him is to lift up Paul’s principles, each of which is grounded in a firm belief in the power of the Spirit to lead, shape and grow the churches which he founded. In a final effort of illustration, Chapter 14, an Epilogue, offers narrative portraits of two missionaries, one following the contemporary model and the other who has taken up Paul’s method. The former’s narrative concludes with an authoritative assertion by the missionary in view of a potential misuse of church property “Well, anyhow...it is our building, it is not your building, and we will not let you have it for that purpose,” while the later concludes with a native catechist remarking how it seems the missionary is en route to a fully native church (168, 173). Allen’s other writings include, most notably, The Spontaneous Expansion of the Church, which responds to criticisms of Missionary Methods, and The Ministry of the Spirit, which is a collection of other writings.